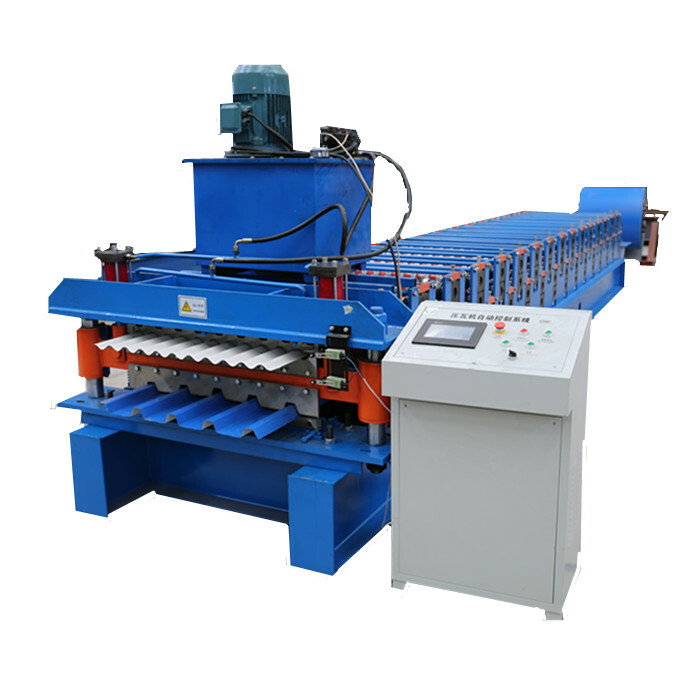 This machine is used to produce roof panels, the raw material is glazed steel coils, or galvanized steel coils. 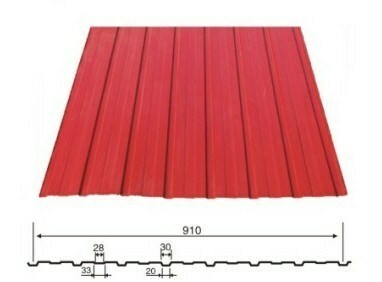 It imitates the classical Chinese roof tiles, but much more cheaper and stronger than glazed ceremic tiles. to customers' actual needs. 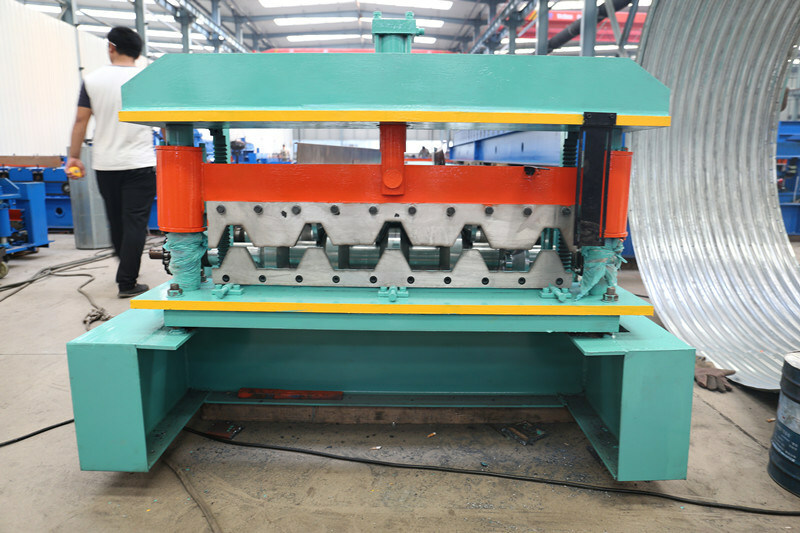 This uncoiler is used to uncoiling the raw material coils. The coil after uncoiling will go into the roll forming body throught this device. It can keep the plate well-leveled. 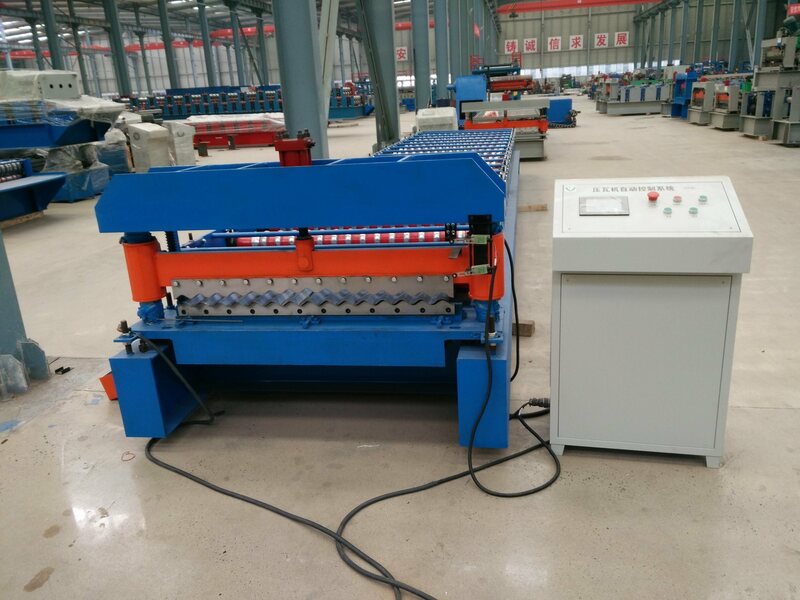 The flat sheet will be formed many defferent patterns after roll forming. Each model has it own design of rollers. After making the step, the sheet will be cut automatically according to the setted length. 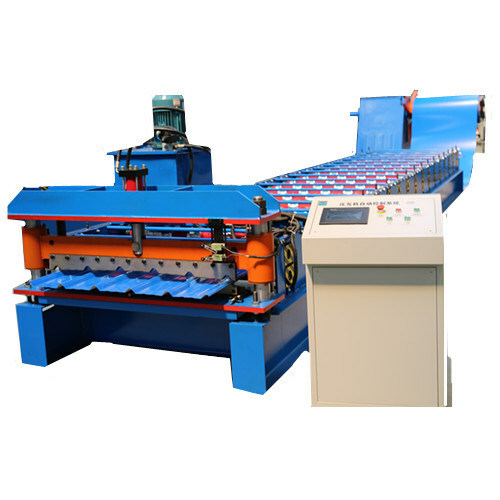 The system includes computer control cabinet, encoder, hydraulic station, step-forming device and cutting device. They are used to receive the finished products. 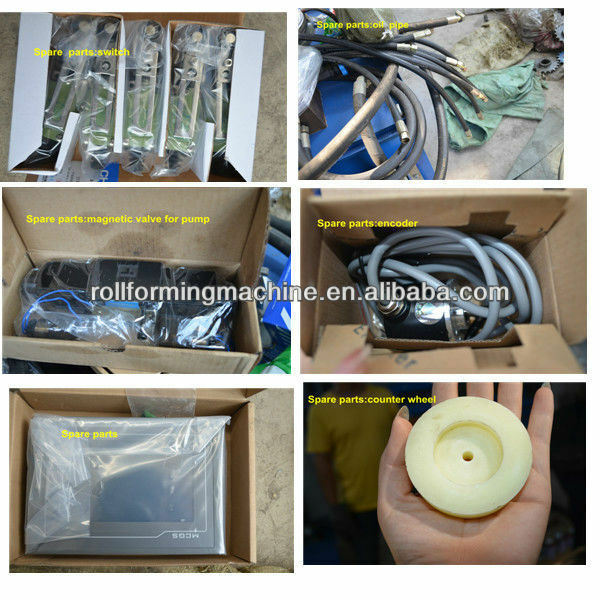 We have professional team to make different kinds of roll forming machines for our customers, from designing, processing, assembling, debugging, delivery. 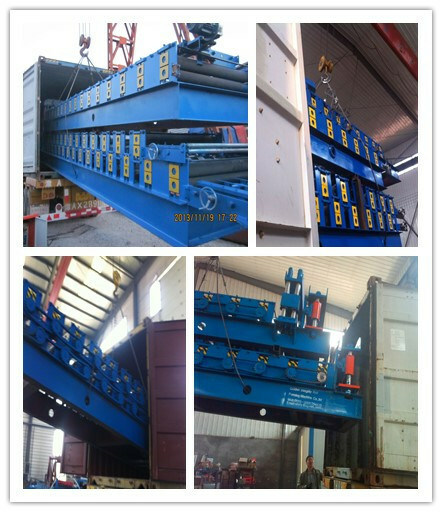 We can send our technicians to customer's factory for installation, and teach customer's workers how to use the machines. If there is any problems happened to the machine, we will provide solution at once. Hope we could establish win-win business relations in the soon future! Andwe provide the technical support for whole life. Meanwhile, if any parts go broken and not artificial damage, we will send you new ones for free. 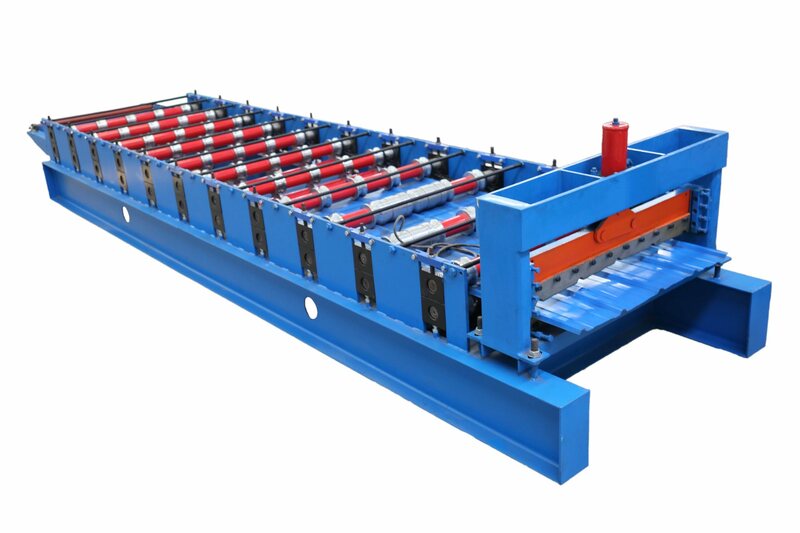 Looking for ideal Color Steel Roll Making Machine Manufacturer & supplier ? We have a wide selection at great prices to help you get creative. 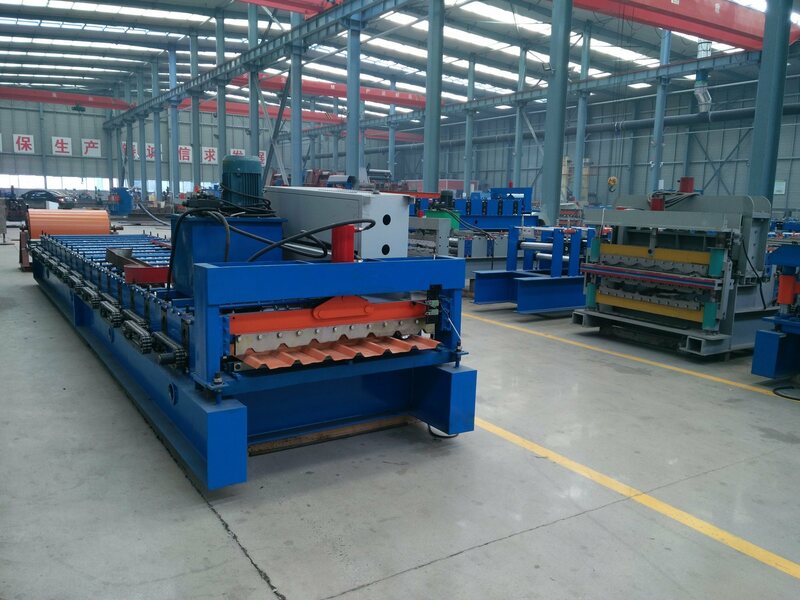 All the Color Steel Tile Making Machine are quality guaranteed. 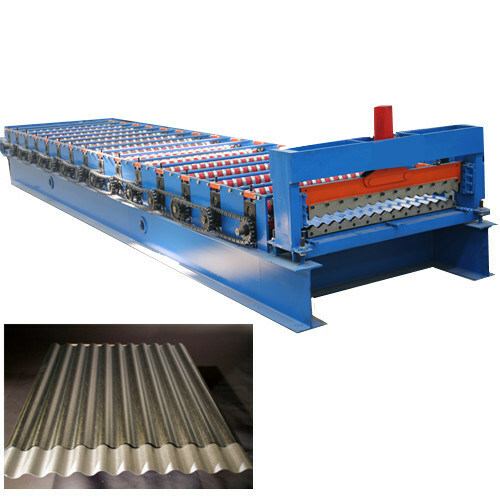 We are China Origin Factory of Steel Roofing Sheet Machine. If you have any question, please feel free to contact us.